Inserts and fitups in several size options. 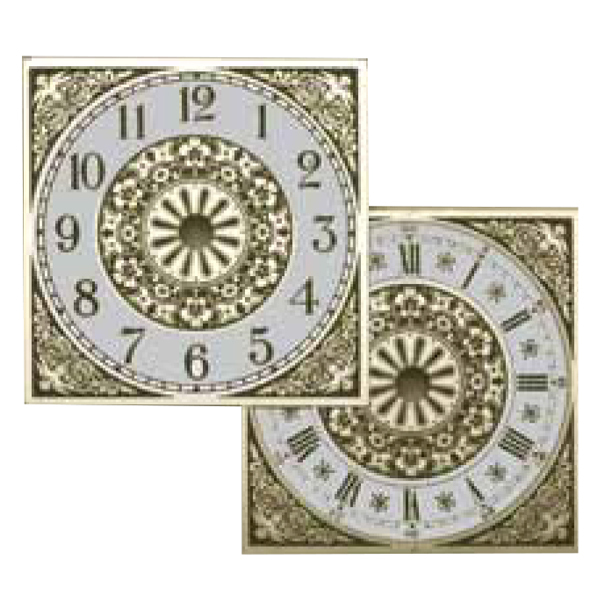 Available with Roman and Arabic numerals with white and brass faces. Quality thermometer inserts. Hour and minute hand sets. Clock sweep second hands. 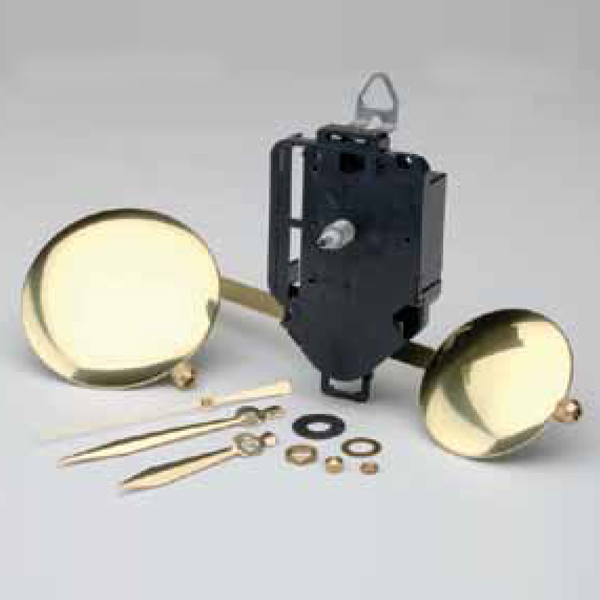 Wide selection of high torque movement clock hands. 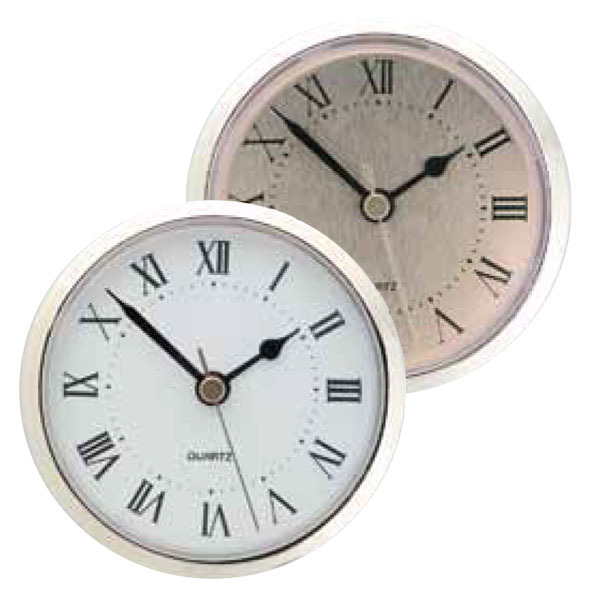 Metal clock dials in square and round shapes, Arabic and Roman numerals. 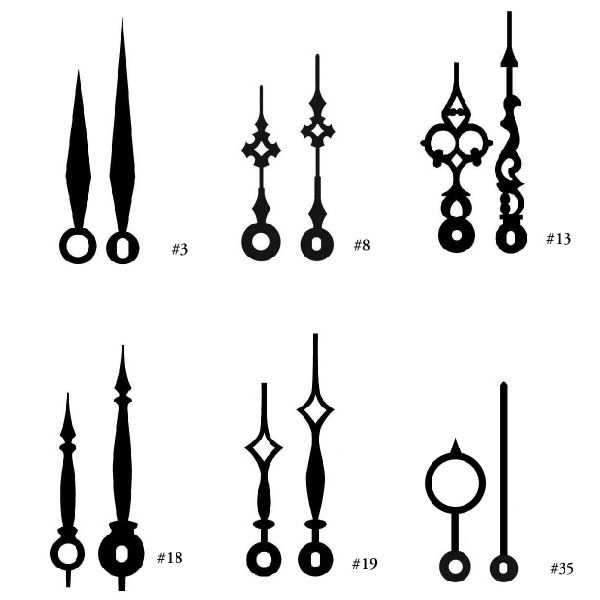 Plastic numeral sets. Plastic clock face partial and full starburst numbers.